What is about stories? The need for them is powerful, even primal. We seek them out, again and again. They touch us, disturb us, move us, sometimes soothe us, but whatever - they make us feel. With HBFF we aim to do just that. We have over 500 years of non-conformist history in the valley so it seems fitting that our theme is "The Other". We will be championing the stories of those who exist in the margins, sit outside the mainstream or just plain don’t fit in. With the advent of the all too timely #metoo movement it will not surprise many of you to know that statistics for women in film remain shockingly low. According to the BFI, in Britain in 2017, only only 4.5% of all films produced were directed by a woman. And the figures for LGBTQ, working class, BME filmmakers or filmmakers with disabilities also remain very low. HBFF is proud to be an F – Rated Film Festival. The F Rating is given to any film written by a woman, directed by a woman or featuring women in significant on-screen roles. Any film that meets all three criteria is awarded a Triple F-Rating. We are committed to BFI Diversity standards and to deliver a program of excellence, featuring international and home grown films, unique events with industry professionals as well as supporting and fostering local talent. And while we can't be the biggest, most glitzy festival out there we can bring filmmakers and film lovers together in the wonderful community spirit that Hebden is famous for. We cannot wait to bring you a weekend of exciting new films that will challenge, surprise and delight you. Come join us from March 22-24th 2019. LOUISE WADLEY is the Festival Director. 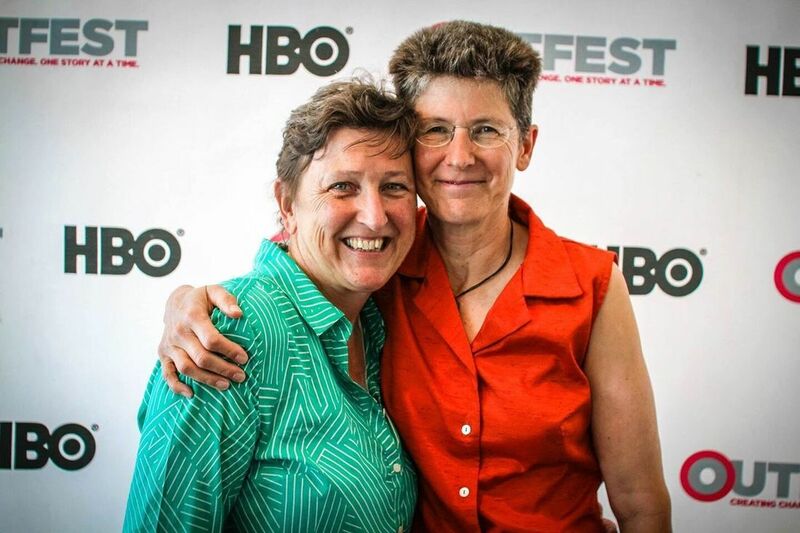 Louise was a long time board member of the MardiGras Film Festival, and has served as a jurist for a number of film festivals, including Women in Film and Television (Australia). Louise graduated from the National Film and Television School in the UK and was a semi-finalist in The Academy Nicholl’s Scriptwriting competition and shortlisted for the Sundance Script Lab. Her debut feature All About E was released in 2016. Frustrated by the lack of roles for women she formed Girls’ Own Pictures with her partner Jay Rutovitz to develop and produce original stories with distinctive and exciting female lead characters.